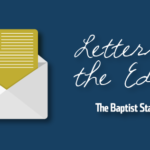 ARLINGTON–Just as the patriarch Abraham passed his legacy on to his son Isaac, Baptist General Convention of Texas President Danny Reeves encouraged Texas Baptists to pass the baton of leadership on to upcoming generations. Reeves presented the challenge during his final presidential address at the 133rd annual meeting of the BGCT, scheduled as part of Texas Baptists’ Family Gathering in Arlington. Abraham was actively involved in teaching and preparing Isaac to follow God’s call on his life, he noted. “He knew he could not quit until the job was done. He knew he couldn’t stop until his son had all the encouragement necessary to embrace what God had for him,” Reeves said. Once Abraham had completed passing the baton on to Isaac, the legacy was continued as Isaac passed the baton to his 12 sons, and the lineage continued through the Old and New Testament, through Jesus and all the way to present-day Christians, Reeves noted. As believers, each generation must faithfully receive the baton from those before them and run the race to the best of their ability, he asserted. Then, as their time of leadership comes to an end, the leader must securely and smoothly pass the baton on to others to carry on the cause of Christ. Concluding his address, Reeves thanked Texas Baptists for the joy and honor of serving as president for two years. He then noted the passing of his baton to newly elected president, Michael Evans, pastor of Bethlehem Baptist Church in Mansfield.